“Locksmith Cicero” proudly offers automotive locksmith services to the entire city. Our team consists of highly trained, well experienced locksmiths who are committed to help car owners and users for any car lock and key problem. We offer 24/7 assistance, so that anytime you face a troublesome situation, we can help you get out of it. Our staff is trained to respond in the most efficient manner and deliver services as fast as possible. They can open locked vehicles without causing any damage, make keys with existing locks, supply transponder keys and more. One of the common problems that our team handles is missing keys. Some customers lose their keys, while some leave them inside the vehicle. With the fast-changing car locking technology, vehicles do not just use traditional keys. Today’s cars are now equipped with transponder keys for better security. This key has a chip that disarms a car’s immobilizer once it is used to start the engine. The chip is programmed using a special device.We offer transponder key programming and broken ignition keyextraction. If your car is still using conventional key and ignition, we can cut new keys for you if you want spare or replacement keys. 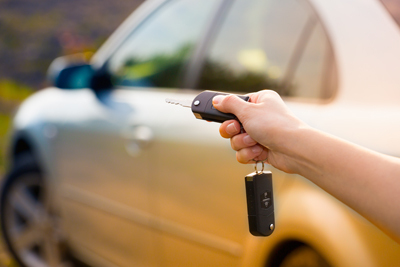 Lost keys often lead to car lockout. If this happens to you, there is no need to worry. Our team responds fast and delivers the service needed to get you back on the road in minutes. As your emergency locksmith, we have the skills and technology needed to open different types of cars and locks. We keep up with the changing times and make sure we are up to date with new vehicle locking systems.We open locked cars, SUVs, trucks and more, without causing any damage to the automobile. Afterwards, you can choose to have your lock changed and be provided with new keys. Alternatively, we can provide new keys for the old locks. We offer more than lock repair. We can retrieve keys without changing the locks, or extract broken keys. Key replacement can be done instantly, for we have the advanced equipment to do so. We serve domestic and commercial customers, and our services are geared to keep both the car and the owner safe. If you want to know more about our services, feel free to contact us using the number provided. We would be glad to make you one of our many satisfied customers.